Lagos, Nigeria/September 29th, 2016 – The Best of Nollywood Awards, Nigeria’s preeminent homegrown reward system for the movie industry, will this year hold in Abia State, December 10th. 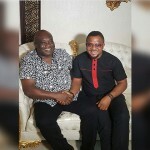 While accepting the hosting rights from the BON Awards organizing committee and a sprinkling of actors including Walter Anga, Yomi Fash Lanso, Rex Nosa and Tayo Sobola, the governor, Dr. Okezie Ikpeazu, expressed his delight that Abia State was considered worthy to host an event of the magnitude, renown and reverence of the BON Awards. 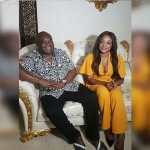 Continuing, he said, “For us in Abia State, Nollywood has contributed immensely to the well-being of our people because one of the marketing and distribution pivots of the industry, Pound Road, is here in Aba, the SME capital of Africa. Just like Idumota in Lagos and Iweka Road, Onitsha, Pound Road contributes more than 50percent to Nollywood. So, prior to now, I always thought about how to further get involved with the industry which is why we are working on a film village and are glad to host the Best of Nollywood Awards 2016. 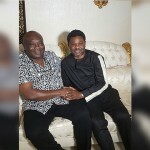 ” Dr Ikpeazu promised that the state would join forces with the organizing team to produce a world class event that would surpass all other editions and create the high watermark by which awards ceremonies in Nigeria and beyond would be measured. 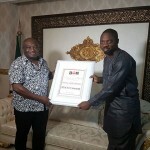 The executive producer, Seun Oloketuyi, thanked the governor for agreeing to host the event, saying, “The Best of Nollywood Awards was created in 2009 as a veritable premium platform to honour the enterprise and ingenuity of stars and stakeholders of the Nigerian movie industry otherwise known as Nollywood. I am happy to say that we are now the longest running homegrown movie awards ceremony. 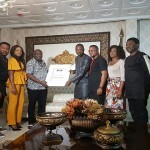 We designed BON as a travelling awards ceremony and in the intervening years, has been hosted by the Ogun State government under Otunba Gbenga Daniel, the Delta State government (Dr. Emmanuel Uduaghan), the Rivers State government (Hon. Rotimi Amaechi) and the Ondo State government (Dr. Olusegun Mimiko).” Oloketuyi assured the governor that there’s no better ceremony to officially launch the new ultra-modern international events centre being constructed by the state than the BON Awards.